Everafter cover art by Tula Lotay. Nearly a year after the long-running smash hit series Fables came to a close, Vertigo is returning to its fantastical world, where fairy tale heroes and villains walk among us, with a brand new comic. What’s in store for the future of Bill Willingham and Mark Buckingham’s series? Fantasy espionage, apparently. Written by the team behind the Fables: The Wolf Among Us digital comic series, Matthew Sturges and Dave Justus, and with art by Travis Moore and covers by Tula Lotay, Everafter: From the Pages of Fables is set after the events of the Fables comic. Now that magic is known to the world, sinister forces plan to use it terrorize Fable and Mundane alike—unless the Shadow Players, a global spy network made up of both Humans and Fables, can stop them. Alongside a cast of new characters in the Shadow Players, Fables stars Bo Peep, Peter Piper, Hansel, and Connor Wolf are all teased to play a role in the monthly series. 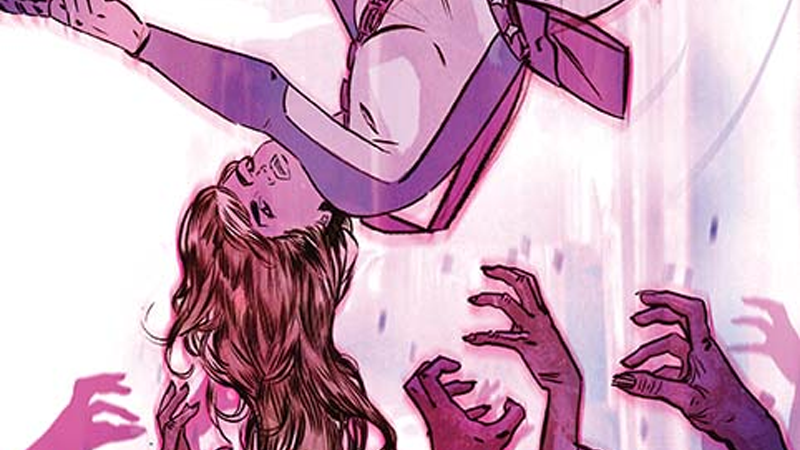 It sounds a bit out there, especially from what you’d expect from the continuation of an iconic series like Fables—but a fantasy-blended take on magic-policing spies? Sign us up for that, please. Everafter is set to begin in September.